Seclusion is keeping apart from society. Die Herrschaft soll sein inmitten deiner Feinde. Und wer das nicht leiden will, der will nicht sein von der Herrschaft Christi, sondern er will inmitten von Freunden sein, in den Rosen und Lilien sitzen, nicht bei bösen, sondern bei frommen Leuten sein. O ihr Gotteslästerer und Christi Verräter! Wenn Christus getan hätte als ihr tut, wer wäre immer selig geworden? The Kingdom is to be in the midst of your enemies. And he who will not suffer this does not want to be of the Kingdom of Christ; he wants to be among friends, to sit among roses and lilies, not with the bad people but the devout people. O you blasphemers and betrayers of Christ! If Christ had done what you are doing, who would ever have been spared? The principal safeguard is seclusion, that you should not, God forbid, leave the house, save for some exceedingly great need. ... And even in the synagogue you should be very short and leave quickly. It is better to pray at home, for in the synagogue it is impossible to be saved from envy, and from hearing vain talk and gossip, and one is punished for this. Vilna Gaon, Alim li-Terufa as cited in "Separation from the Worldly (Perishut)"
The great problem with trying to retreat into a life of private dignity and saying 'let's make the best of what we've got' is that the world does not stand still. There is a dynamic of development which is leading to more and more poverty, more and more inequality, more and more violence, more and more subjection of our lives to money. Dignity is not a private matter, for it involves the recognition of the dignity of others: in a world based on the negation of dignity, this inevitably involves the struggle for radical change. It is precisely the pursuit of personal dignity that confronts us with the urgency of revolution. 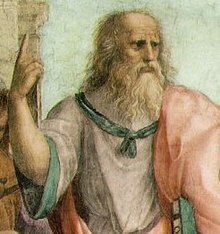 While Nature sets very wide differences between man and man in respect both of morality and of intellect, society disregards and effaces them; or, rather, it sets up artificial differences in their stead,—gradations of rank and position, which are very often diametrically opposed to those which Nature establishes. The result of this arrangement is to elevate those whom Nature has placed low, and to depress the few who stand high. These latter, then, usually withdraw from society, where, as soon as it is at all numerous, vulgarity reigns supreme. This page was last edited on 12 January 2019, at 17:59.